Uncategorized Archives - Communicators Intl. 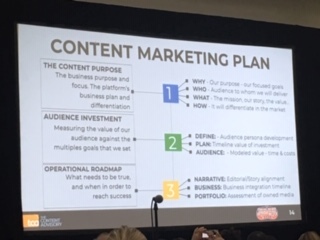 My thirst for knowledge was quenched beyond belief after attending the Social Media Marketing World (SMMW) 2019 Exposition in San Diego, CA. For months, I’ve been receiving emails pumping me up about this four-day event … and, it did not disappoint. 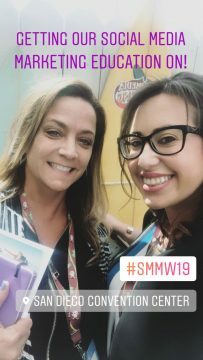 I not only had the opportunity to experience this event with some of the top social media marketers in the world, but also had the pleasure of sharing this with our great client, Sarah Hurtado, marketing manager of iQ Power Tools. 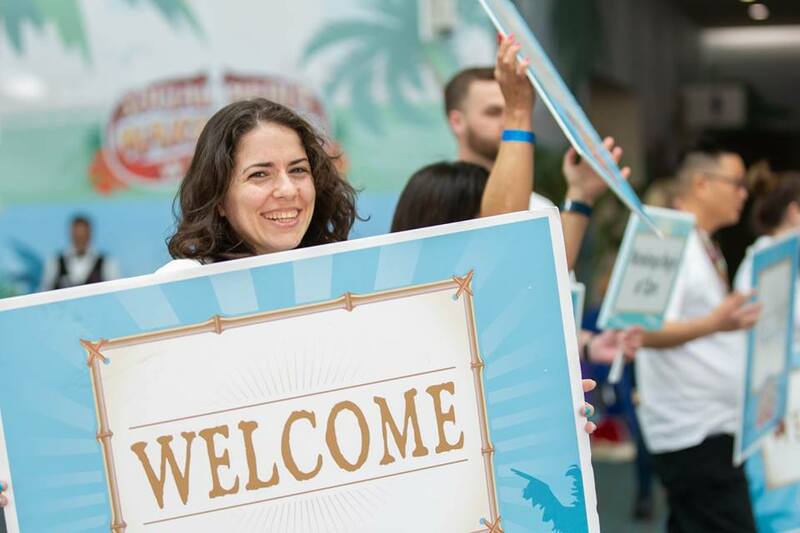 We arrived at the convention center, welcomed by a wave of SMMW staff members… dancing, singing, smiling and eager to help. And when I say dancing, I mean dancing… decked out in surf clothes with signs reading “Hi I’m the High Five Guy” and “Smile”. Can’t lie… at first, I thought that was kind of cheesy, but almost immediately, we fell into the swing. The conference was a SOCIAL experience, that was for sure. 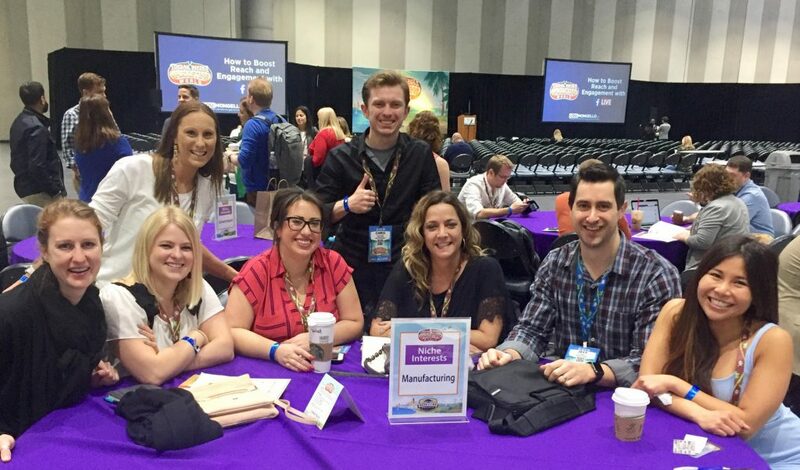 Show management could not have made it easier with their scheduled networking sessions, which even included tabletops specifically allocated for specific industries (manufacturing, ad agencies, B2B, government and more… ) We laughed after noticing the Cannabis marketers’ table was as busy as the Healthcare table. Coincidental … hmmm??? Throughout the week, with the other 6,000 guests, we were inundated with items covering everything from social tactics like Facebook ads and Messenger Bots to learning special skills such as analytics and shooting video; LOTS AND LOTS AND LOTS of tips, tools and techniques to optimize our clients’ social media presence were embedded in our heads at every session. Clearly, the one track that really resonated with me was Ann Handley’s on Email Newsletters. Not only was she knowledgeable and entertaining, but everything she said MADE SO MUCH SENSE. I was the attendee in the crowd with the lightbulb over her head, truly inspired, and came out of her session ready to do some writing. I guess that’s why this blog is coming to me easy today. #WRITETODORIS (insider reference). I could go on and on about what new tactics I learned, who I met, business cards collected and passed out, more. 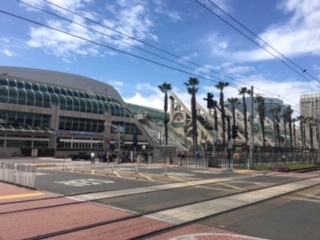 Just be assured that much of what was absorbed in those days in San Diego will be put to use by Communicators, as we move forward with our respective clientele. My friends and family have had to endure my stories about Facebook tactics that Mark Zuckerberg (“Zuck”) plans for us… and how we are pretty much at his mercy. 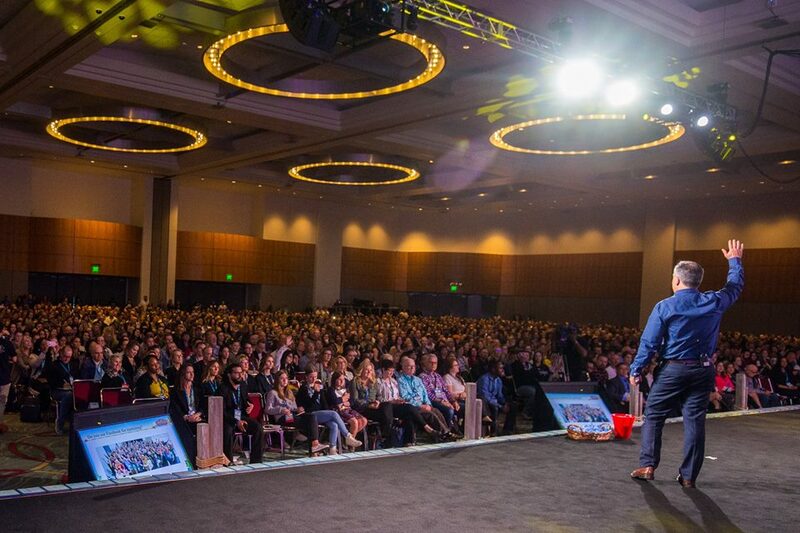 I came home with so many new tips and techniques shared with me from all the people I met and the educational sessions I attended. These social platforms are changing every single day. We all need to continue to ride the wave, pay attention, and not get comfortable with the simple post and share… engage, engage and yes, engage! And, videos, videos, and more videos! Now, I look forward to sharing these insights with all of you. When you connect with me, be ready to “chat”. 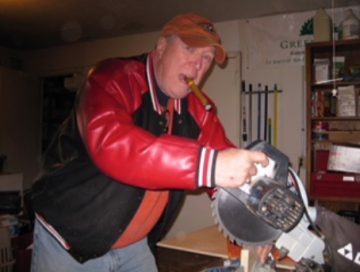 When I first entered the business world back during the Johnson administration, networking seemed to consist of eating, drinking, and playing golf with other business people. And being shy in my early years, I dreaded much of the social interaction with relative strangers that this process required. But, I would learn the importance and great personal value to the art of networking. Let’s face it the word is not netgolf or netlunch or netdrink. It is network… emphasis on WORK please. As with learning any skill, the more you practice, the more time you put into it and the more you stretch your comfort zone, the better you will become. Of course social interaction comes easier to some. But for all, networking in today’s business environment requires an informed effort. 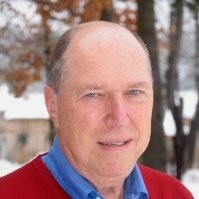 In his outstanding book “The Art of Networking: Beyond the Handshake”, author David Woods suggest that most of us live inside a close bubble of friends and family and in order to realize our career potential, we have to push ourselves outside of that space and intentionally build new relationships. This book is a worthy read. I would also offer two other great sources on this subject. First, take a look at, “The Fine Art of Small Talk,” by Debra Fine. Her subtitle “How to Start a Conversation, Keep It Going, Build Networking Skills–and Leave a Positive Impression,” suggest that this would be a perfect primer to the shyest of us. Perhaps the best source I can put you on to is, “Give and Take: Why Helping Others Drives Our Success,” by Adam Grant. Grant presents a holistic approach to building better relationships by suggesting that there are three types of leaders: givers, takers, and matchers. The ideal style is that of — you guessed it — the giver, who injects helpfulness and energy into any room. So, why and how should we concentrate on networking in today’s business environment? Let’s put the benefits into prospective first. New contacts and referrals: The most obvious benefit of networking is to meet potential clients and to generate referrals, which you can then follow up on to hopefully add to your client base. Networking can also help you identify potential partnerships, joint ventures or possible areas of expansion of your business. Visibility: You need to meet and communicate with potential clients and business partners on a regular basis to maintain strong relationships. Attending business luncheons, trade shows and networking events raises your personal profile by keeping you front and center in the minds of the right people. Staying current: In today’s ever-changing business climate it is important to keep up with market conditions as well as overall trends in your industry. Thus, attending seminars and networking with your peers and business associates on a regular basis will help you to stay current. Problem solving: In addition to the potential of increasing your business you can often find solutions to your essential business needs by networking. For example, if you should need the services of a bookkeeper, accountant or lawyer you may find the ideal candidate via networking. The same can be true of fulfilling financial needs. 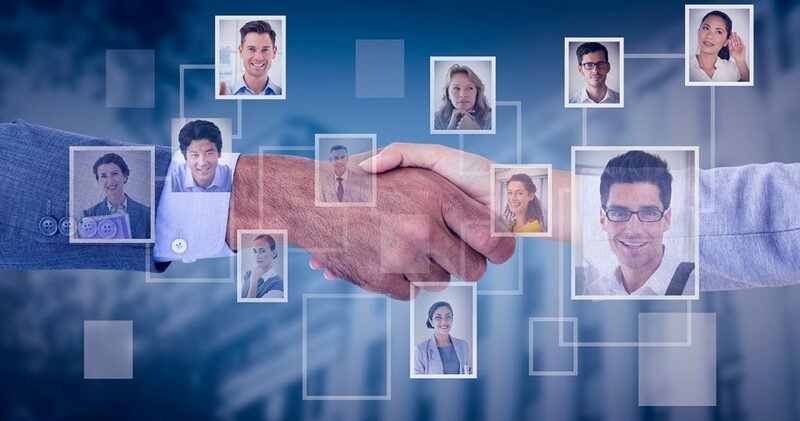 Expanding knowledge and experience: Networking can be ideal for expanding your knowledge by taking advantage of the viewpoints and prior experience of others. Getting advice from someone else who has had similar business needs and has already figured out how to fulfill them, can be of extraordinary value. Taking advantage of the experiences of others before you invest time and money in a particular venture can prove to be priceless. Confidence and morale: Finding other business people who are optimistic and positive and regularly associating with such people can be a great morale booster. This is particularly true in the difficult early phases of a new venture. Also, if you are not naturally outgoing, regularly meeting optimistic people can also encourage more confidence in you. Let me make two more important points about networking. Today we are all consumed with the social media world. Meeting people in person may seem old fashioned in the digital age. But I would submit that, wherever possible, you should network face-to-face. Social media platforms such as Facebook, LinkedIn, and Twitter can be excellent ways to communicate with customers and business associates, but they are a weak substitute for meeting people in person. As a final thought on this subject, I would refer you to my last blog entry, Hush Up and Brush Up. The best business networking groups operate as exchanges of business information, ideas, and support. And, the most important skill for effective business networking is listening. The entire process of business networking will be significantly enhanced by good listening skills. Break out of that bubble and get to it. Effective networking will make both you and your business better. 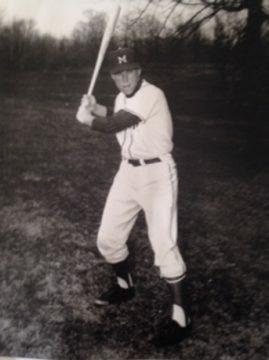 Stert, Miami University, Ohio Baseball. captain… a few years ago. I’ve heard it said, we have two ears and one mouth, and a wise man uses them proportionately. Anyone who has taken a sales course has learned that there are two kinds of questions; closed-end questions which usually require a short, often one word, answer like “yes” or “no”; and open-end questions, which require long, descriptive answers. We learn much more from the later. But to really learn from them, you need to shut up and listen. Listening is an acquired art. We call our company Communicators International. We have learned that good communication springs more from when and how to listen than it does from how we use words. It is generally agreed that the concept of listening as an art, was born in a seminar given in 1974 by Eric Fromm, a world-renowned social psychologist. In speaking to a group of American students in Switzerland he related “the art” to his success as a psychoanalyst. Make Eye Contact. (Obvious, but frequently forgotten. If you don’t look at the person while they’re speaking, you give them the impression that you don’t care). Don’t Interrupt. (Let the person speak uninterrupted. Allow the person to say everything they need to say. The goal is to shine the spotlight on them, not you). Practice “Active Listening”. (Clear your mind of your needs and of your mission, to assure that you fully understand what you are hearing). Show You Understand. (Provide positive reinforcement to show that you understand. A simple nod or a quiet verbal response such as “yes”, “yeah”, “ah”, or “okay” will demonstrate interest and comprehension without interruption). Listen Without Judgment. (To effectively master the art of listening it’s extremely important to withhold any negative evaluations or judgments. If you understand your business, your needs and goals aren’t going anywhere. Once you fully hear the other person’s thoughts you will have a better roadmap for making your case). Listen To Non-Verbal Communication. (About 60 – 75% of our communication is non-verbal. Observing “body language” is a critical part of listening). Create A Suitable Environment. (It is impossible to listen to another person when your phone or theirs is buzzing. Remove all distractions and find a quiet place to sit down and listen). It is also critical in today’s hi-tech world to apply these same principles to the many forms of communication beyond face-to-face verbal encounters. Emails and text have replaced a great deal of the interpersonal dialog we used to see in business. It makes it much easier to hide; to avoid unwanted discourse. Without body language available as a tool, we must learn to read between the lines. As with face-to-face meetings, we must slow down and fully digest the written exchanges we have every day. This means reading more than once and analyzing in the context of the person and situation involved. The tendency with emails and texts is to rip off a response and move on. These quick replies are often visceral and reactive. Wrong!!! Slow down. Think. Yes, time is precious, but being reactionary is very dangerous. The next time you are in an important meeting or on a critical sales call, give it a try… just hush up and listen.